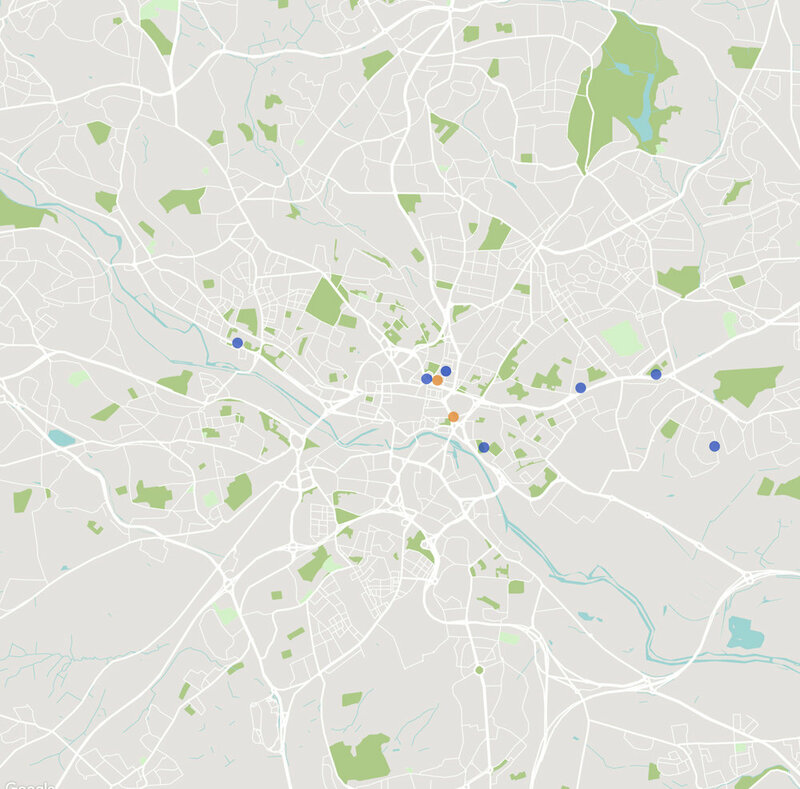 Den Architecture currently has 7 large scale projects on site in and around Leeds. 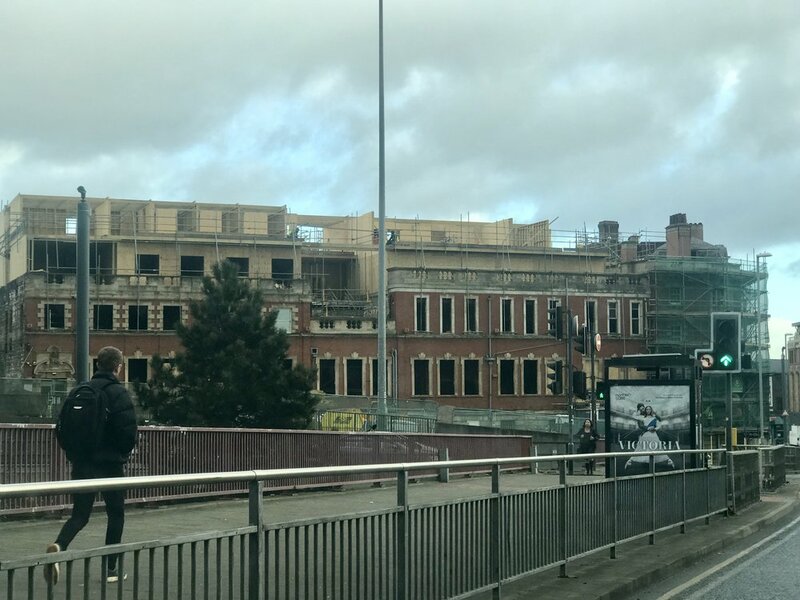 We take you on a tour of Leeds through our buildings. 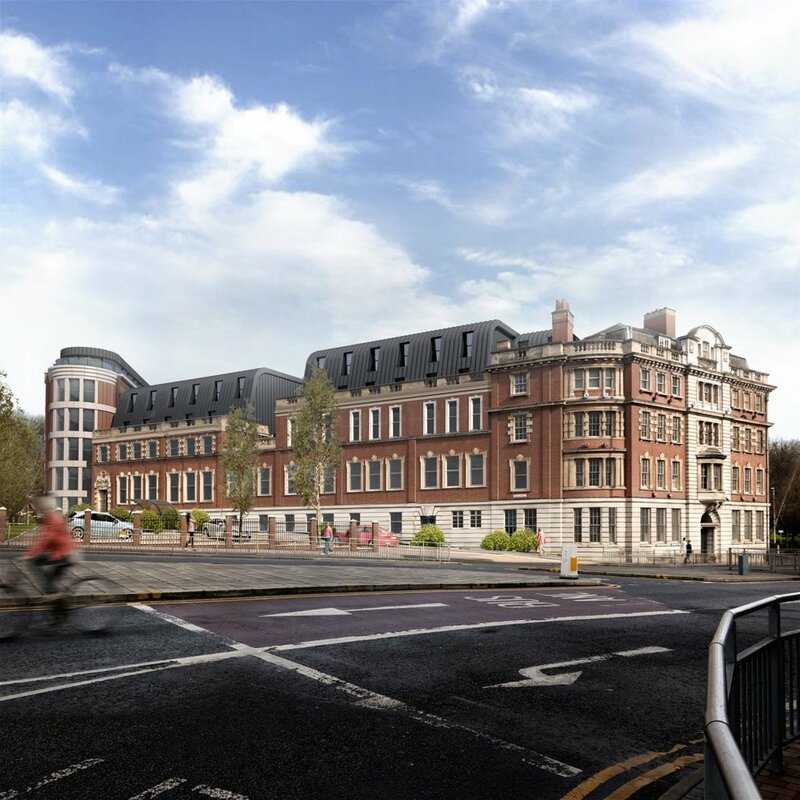 The practice also has planning approval on St Peters building, and Melbourne Street in Leeds - two large residential schemes in the city centre. 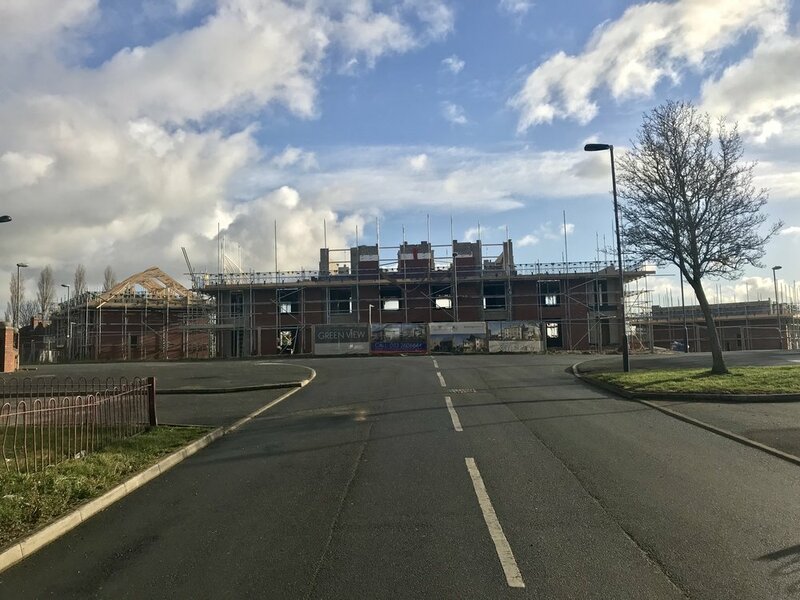 Building work is making excellent progress on site at Green View, Halton Moor. 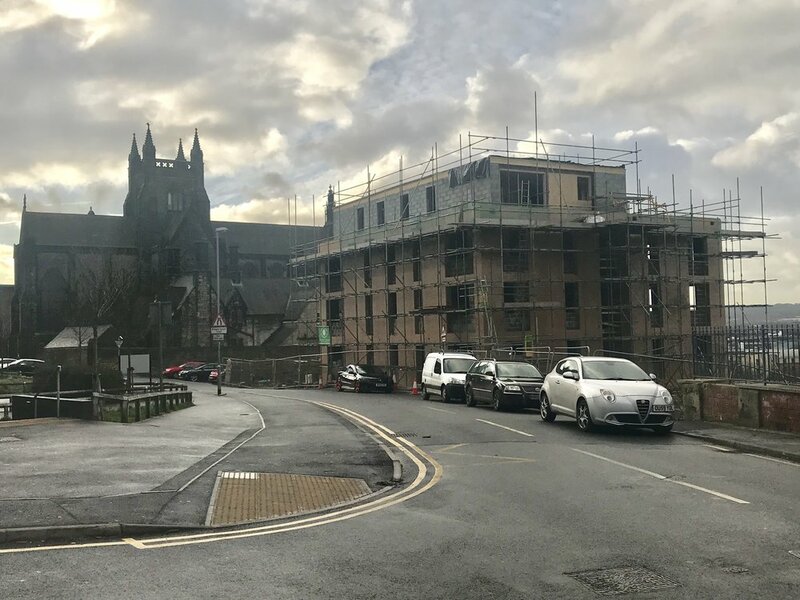 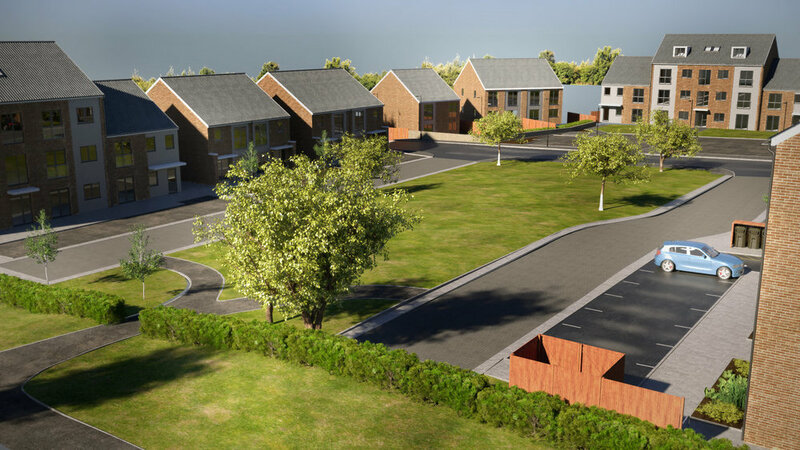 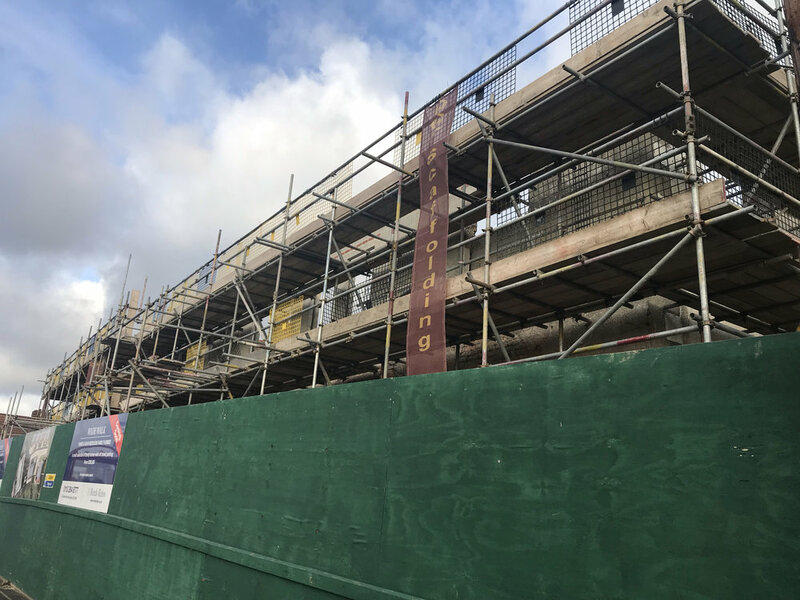 The 15 houses and 28 Apartments are beginning to take shape, with the aim of spearheading the regeneration and development of the area. 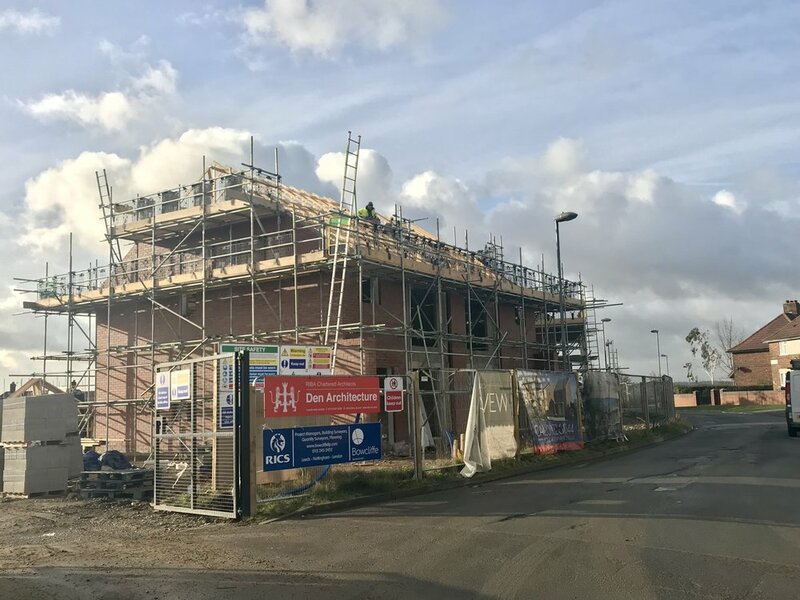 Work to the facade and roof is currently underway on site at Ellerby Road, Leeds. 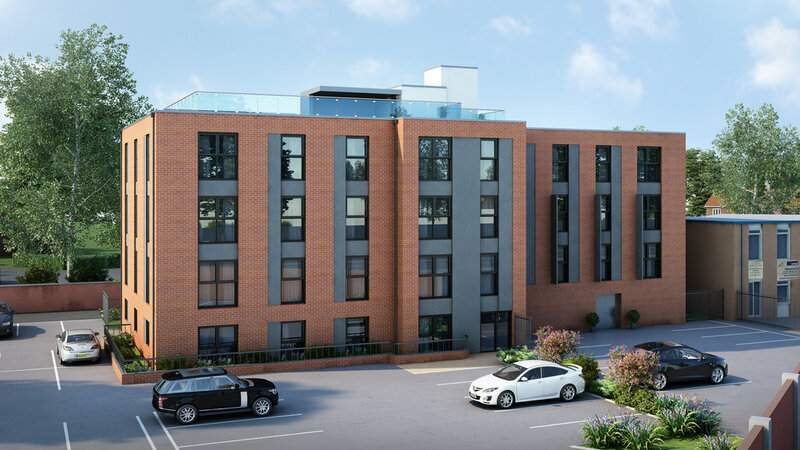 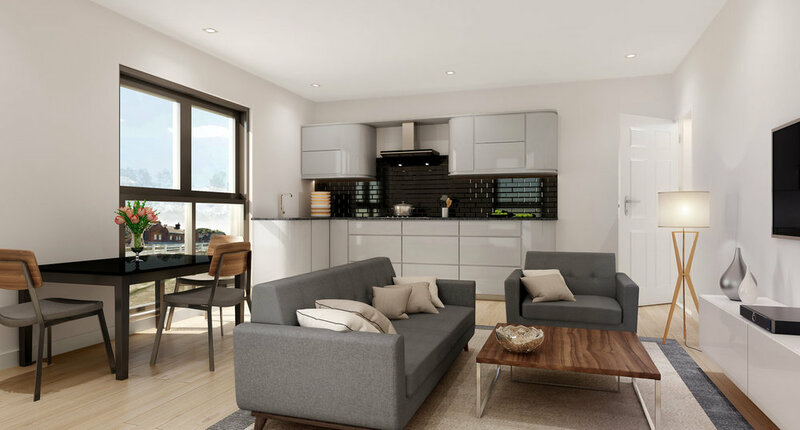 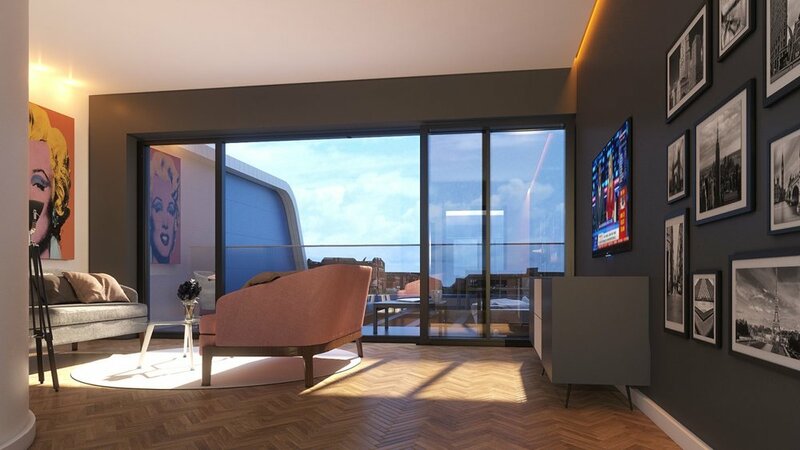 The contemporary residential development consists of 16 Apartments of varying sizes, and is on the site of a previously existing pub. 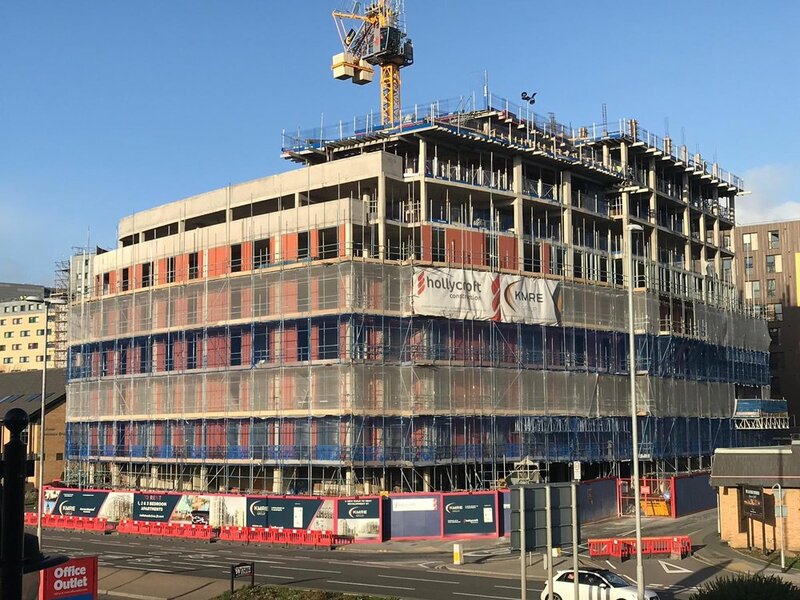 Construction of the development aims to be completed by late summer 2019. 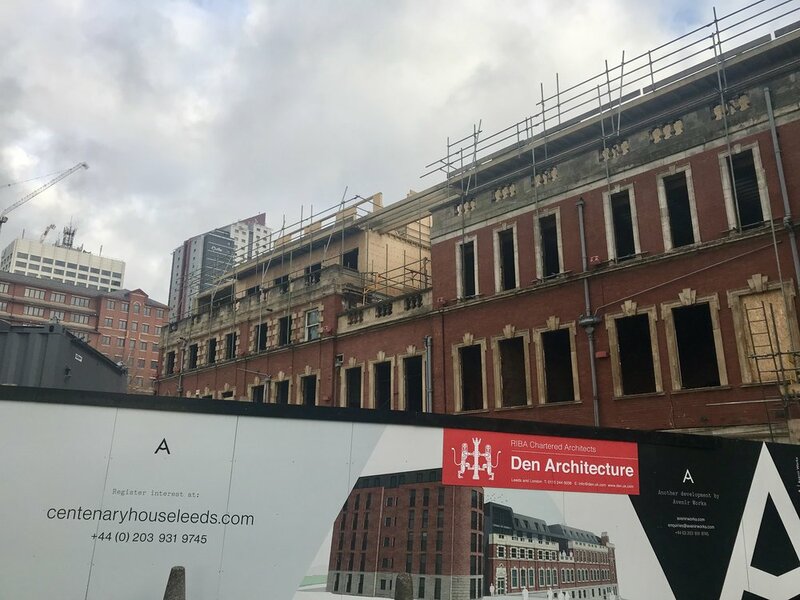 Work is on site at Centenary House, a Grade II Listed building in Leeds City Centre. 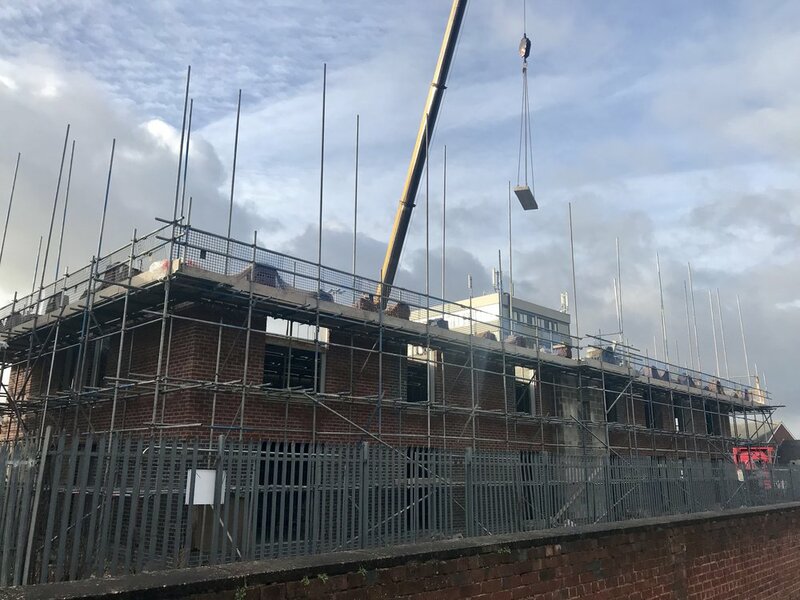 The work, which involved a two storey addition and significant new build extension looks set be finished later in 2019. 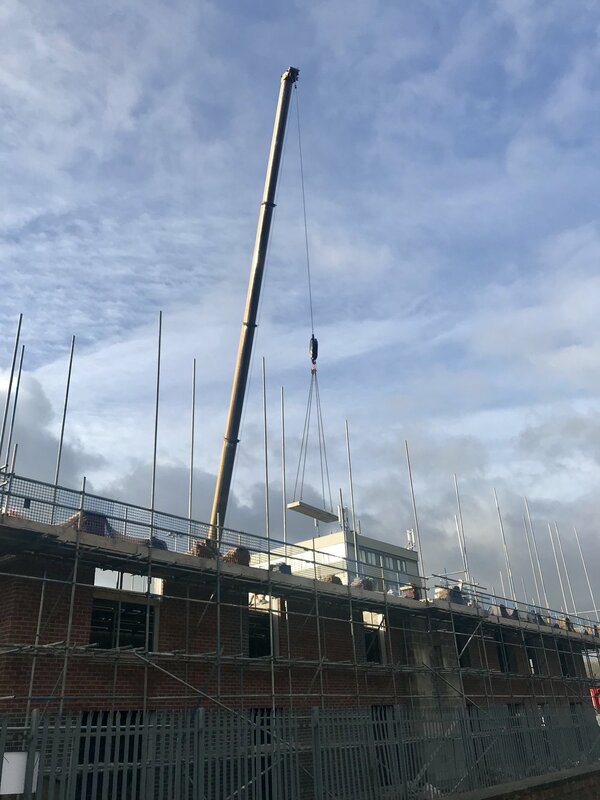 The pre cast concrete floor is being lowered into place on site on York Road, Leeds. 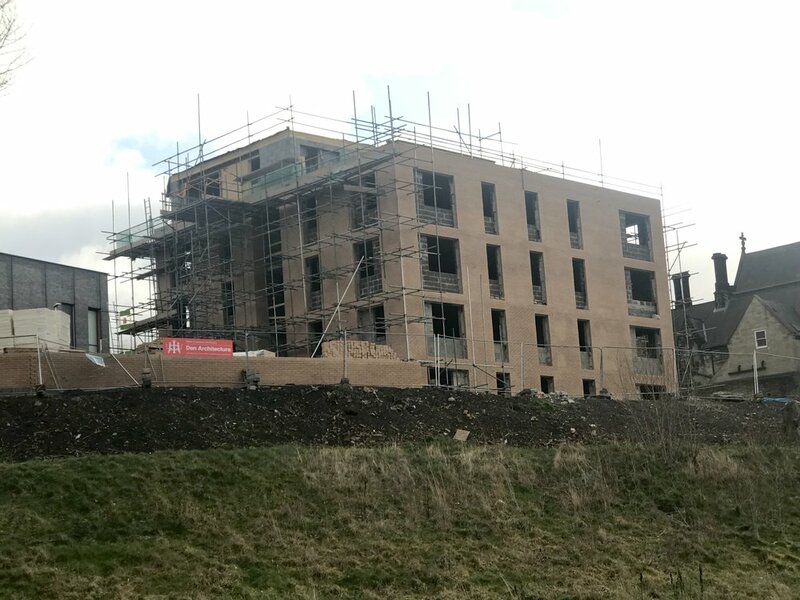 Steady progress is being made on the contemporary apartment scheme. 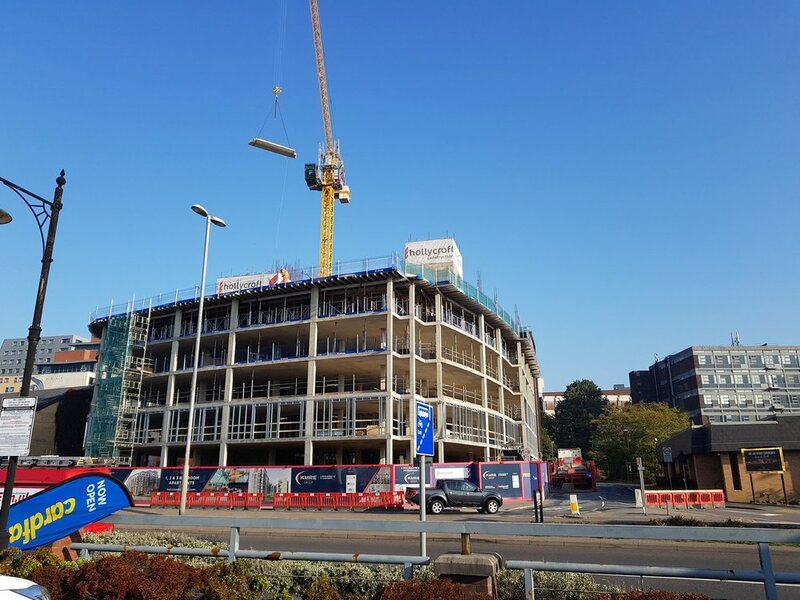 Work on preparing the 10th level to have its concrete poured is now underway on Kirkstall Road, Leeds. 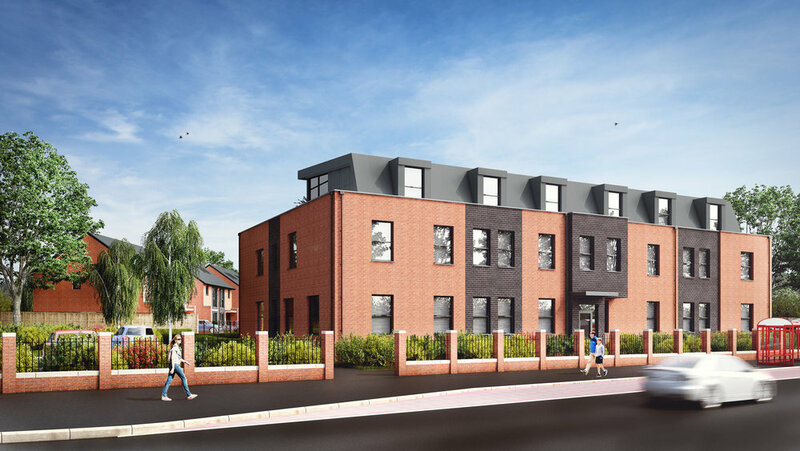 Previously The Dog & Gun Pub, the development consisted of the conversion of the pub into a number of flats. 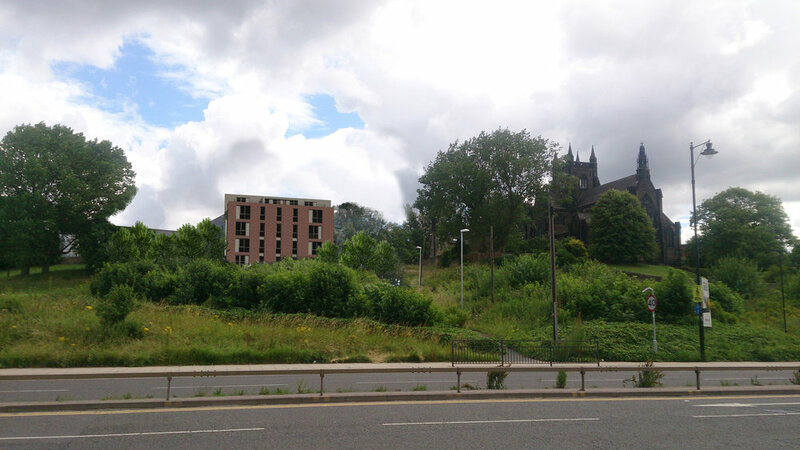 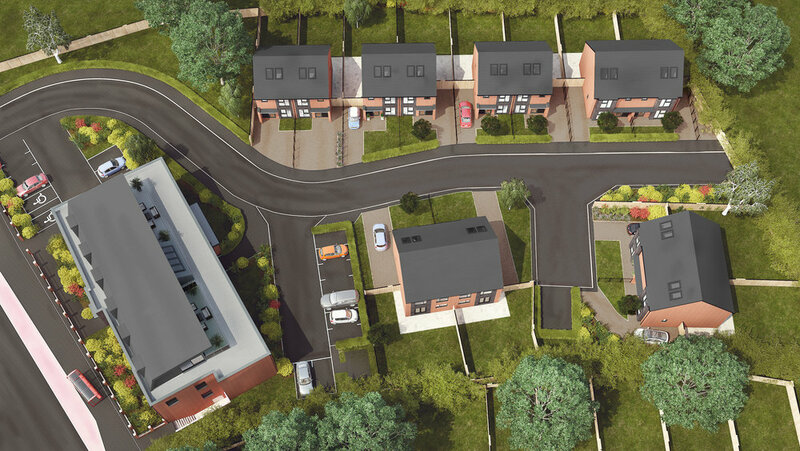 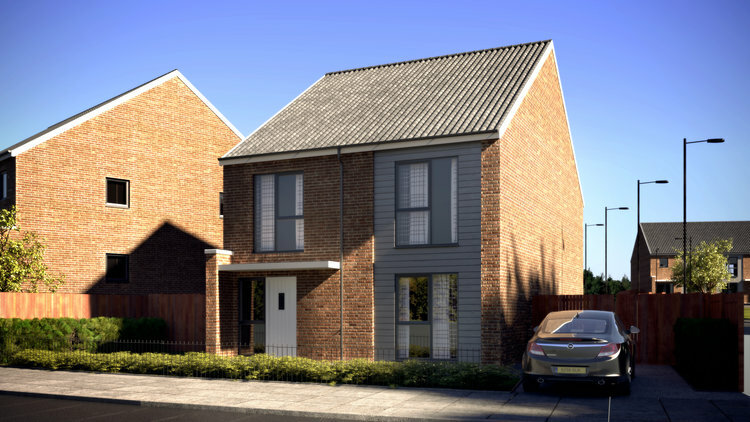 Work is yet to begin on the 12 Semi Detached houses to the rear of the apartment building currently under construction. 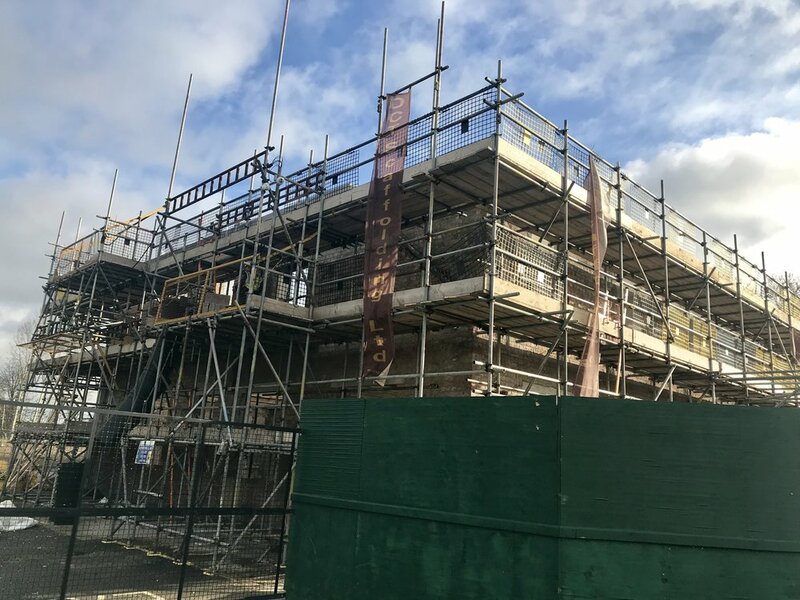 Work continuing on site at Whitehorse Road, Croydon.